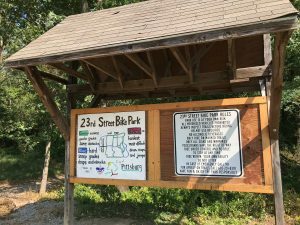 Volunteers are teaming up with the Pittsburg Parks & Recreation Department to rejuvenate Pittsburg’s 23rd Street Bike Park. Cyclists, nature enthusiasts and community members will come together over the next few weeks to beautify the park. Boy Scout Ethan Lomshek is leading the effort for his Eagle Scout project. He chose to focus his project on 23rd Street Bike Park after noticing fallen limbs and overgrowth along the trail needing to be cleared away. He says the park has special importance to him. “It has been a place I have always been a part of, from building the dirt track to riding the trails with my dad since I was a little kid,” says Lomshek. Ethan Lomshek’s father and Tailwind Cyclists owner Roger Lomshek is helping to promote the volunteer effort on social media. Lomshek says anyone “willing to work hard and get sweaty” can volunteer. He also stresses the job will be physically challenging and children should be carefully supervised. Several workdays have been set aside for event – September 23, 29, 30, and October 6, from 12:00 pm to 5:00 pm. Follow-up maintenance sessions will continue once a month through the winter. Work involves chopping down dead or dying trees, trimming healthy trees, removing vines obstructing healthy trees, and cutting out brambles, poison ivy or other invasive ground cover that has overrun grass. Volunteers should bring their own equipment such as chainsaws, pole saws, hedge trimmers, rakes, loppers, garden knives, weed eaters with steel blades and spare batteries for electric tools. Organizers also suggest ATVs for dragging out large branches and tree sections and ATVs with trailers for hauling brush piles. Participants should wear long pants, closed-toe shoes, earplugs, safety gloves, protective eyewear and appropriate clothing for working outdoors. 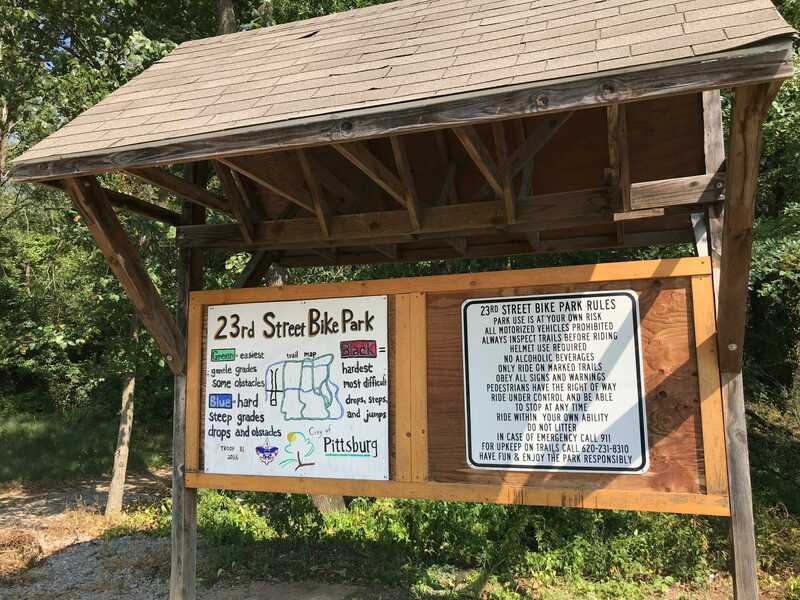 Those interested in learning more about the 23rd Street Bike Park project, can search “Trail renovation at 23rd Street Bike Park” on Facebook or call Tailwind Cyclists at (620) 231-2212. To learn about other volunteer efforts or to adopt a park, call the Pittsburg Parks & Recreation Department at (620) 231-8310.